UPDATED: Thu., July 19, 2018, 5:58 p.m. The fires that burned more than 100 acres of land, destroyed at least one home and forced hundreds of evacuations will also impact the local mountain biking community. 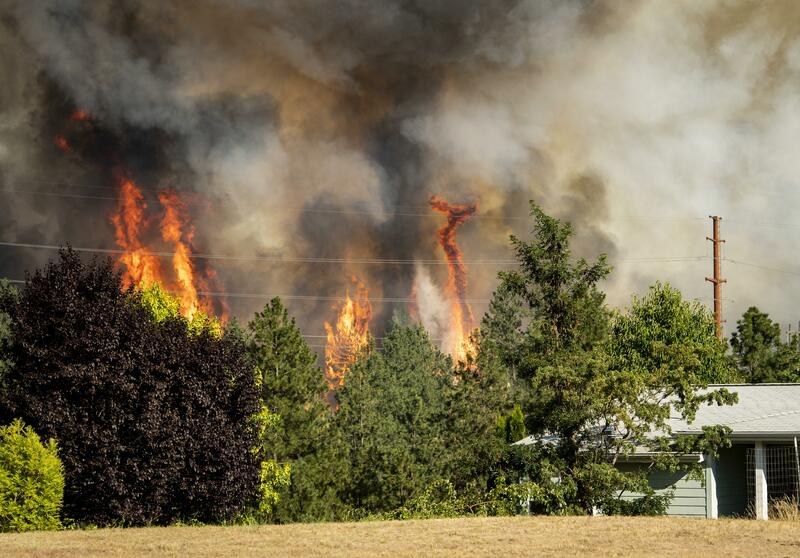 At least some of the popular mountain biking trails at Beacon Hill were impacted by the fire, although it’s not clear to what extent, said Nate Hutchens, president of Evergreen East Mountain Bike Alliance. Officials closed Beacon Hill, Camp Sekani and John Shields Park through Wednesday. Hutchens said when the area reopens Evergreen East volunteers will survey the area and assess damage. Photos posted to the group’s Facebook Wednesday showed burned trees and trails covered in fire retardant. The photos were removed shortly after being posted. Published: July 19, 2018, 4:35 p.m. Updated: July 19, 2018, 5:58 p.m.